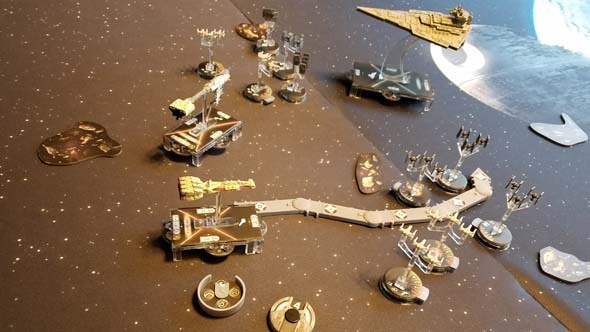 If you like the Star Wars: X-Wing miniatures game (and I do like it), or if you're eagerly awaiting the release of the second edition, but you don't want to house-rule that your car can act as a makeshift Star Destroyer, then Fantasy Flight has you covered. 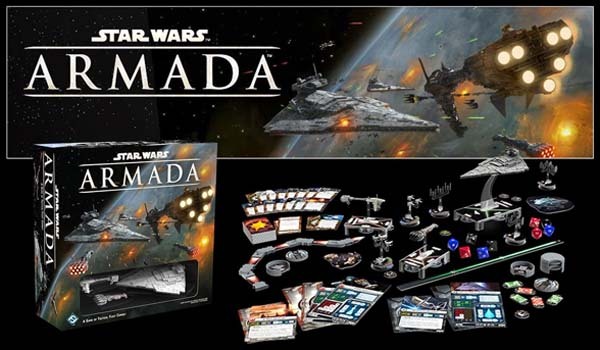 Star Wars: Armada is a higher-scale, tactical combat game using capital ships, and it might actually be a considerably better game than the core X-Wing set (at least better than the first edition)! 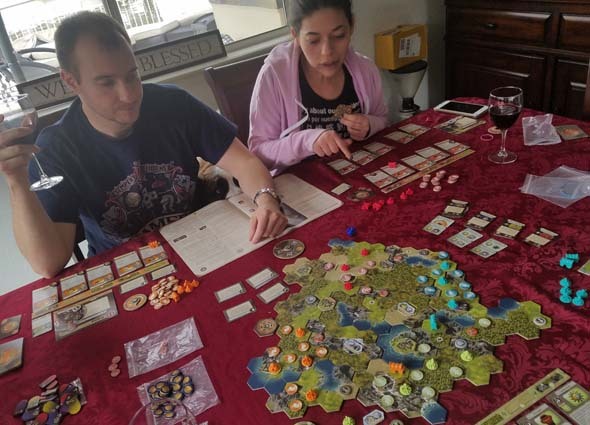 Much like the board game Sails of Glory (which I also really like), Armada requires you to plan the actions of your capital ships a couple turns in advance. However, unlike Sails of Glory, it isn't the movement of these ships that you must pre-plan; it's their desired "commands". I was a little disappointed that the capital ships don't require that players plan their movement in advance, but then again, the maneuverability of these ships is highly limited, and only gets lower as the ship goes faster (if the ship in question even can go faster). There is a sense of inertia to these behemoth ships, but not quite the same level of inertia as the sailing ships of Sails of Glory. Ships move very slowly and have very limited maneuverability. I do like that these ships both begin and end their movement relative to the font of their base. This alleviates the problems that X-Wing had with its large ships counter-intuitively moving faster than their smaller counterparts. And since the base Armada package comes with ships of varying sizes, this improvement is immediately noticeable without needing to wait for expansions: all ships move and turn at consistent speeds. The rules do require that ships attack prior to moving. This means that you must plan ahead a little bit, since you have to position yourself for an attack in the turn prior, and have to anticipate who will have initiative and where their ship(s) will be if they get to move them before you get to make your attack. Even defense is a tactical decision! And this might be the single, best change from X-Wing. Instead of simply rolling defense dice to cancel out your opponent's attack rolls, you get to chose a set of defense tokens to apply, and each one mitigates damage in different ways. 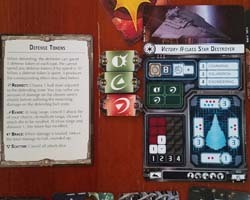 One defense token may allow you to cancel out an opponent's die roll, while another will allow you to redirect the damage to another hull section's shields, and yet another halves the total damage dealt. These tokens refresh each round, unless you use twice in the same round, in which case, it is permanently discarded.